Самая актуальная информация 2kw navtex transmitter тут. Jailhouse Rock is a movie that was directed by Richard Thorpe and released in November of 1957. It stars the King, Elvis Presley alongside actress Judy Tyler and actor Mickey Shaughnessy. This was Elvis' third movie. When it was released, Elvis had a hard time watching it because co-actor Tyler was killed in a car accident a few weeks before. The King was quite upset that he couldn't get himself to sit through the entire film. 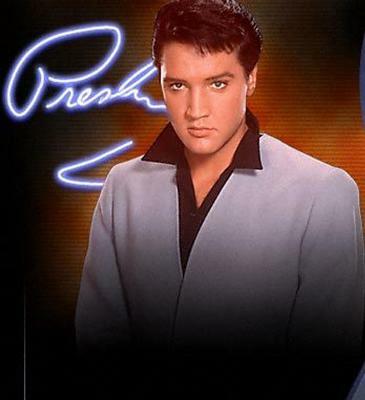 Presley is Vince Everett, an ex-convict who is trying to break into the music industry. Obviously, the film was trying to make it similar to Elvis public image. Sent to jail after a bar fight (which he was convicted of starting), Everett befriended Hunk Houghton. They formed a bond. Houghton taught Everett how to play the guitar. He also taught him how to sing. After his release, Everett started working at night clubs where he met Peggy Van Alden. Peggy was a talent scout for a record company. She agreed to let Everett record a song. They brought it to the executive of a small record label. But the record was arranged and prepared for the labels established singers. Therefore, Everett and Peggy started their own label which brought him notoriety to the public, riches and a movie career. Then here's the twist. Houghton showed up and wanted to get into the action. The entire film showed Everett as some kind of a spoiled star who treated those around him with disrespect and cruelty, especially the two people who helped him get where he was: Peggy and Houghton. A brawl resulted in Everett damaging his vocal chords which caused an uncertainty of whether he could sing ever again. He learned his lesson about humility and expressed his feelings for both Peggy and Houghton. Teenagers got to see a different Elvis. He displayed bad behavior and broke the rules of what should be accepted. It ignored the parameters set by what then was a conservative decade. Regardless, it still made a lot of money. Elvis performance in this movie made him join the Bad Boy ranks with James Dean in Rebel Without A Cause and Marlon Brando in The Wild One.